Our customers benefit from our complete understanding of the demanding bidding, management, safety, job site and billing practices of the commercial construction market. Scheduling. Weather. A change of mind. The sheer complexity of today’s construction site lends itself to the occasional conundrum. Our breadth and depth of construction experience is an additional benefit to our customers on a job site. 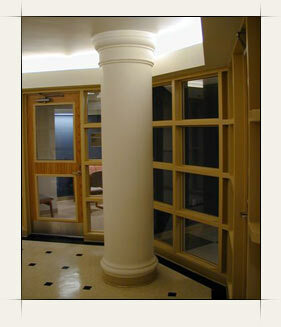 We will gladly help you through tough issues that inevitably arise during the building process. It’s easy to stand behind your work when you have confidence in your craftsmen and the service they provide. If for some reason you’re not happy, we’ll make it right. We back that up by guaranteeing our workmanship and materials for one year from the time of installation.